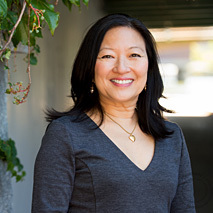 Lani Wong, M.Ac., L.Ac., Dipl.Ac. Lani is a board-certified diplomate of the National Certification Commission for Acupuncture and Oriental Medicine (NCCAOM) and licensed by the Commonwealth of Massachusetts to practice acupuncture. She is an active member of the Acupuncture Society of Massachusetts, which advocates for patient insurance coverage and safe practices of dry needling/acupuncture. Lani is a graduate of the New England School of Acupuncture, the oldest accredited college of Acupuncture and Oriental Medicine, and is recognized as one of the top 3 acupuncture schools in the United States. She completed internships at the NESA Orthopedic Clinic, Pathways to Wellness, Roxbury Comprehensive Community Health, Elder Service Plan of the North Shore, and Boston Medical Center NICU. Many of these sites offered integrated care in a Western medical facility. Continued studies and practical experience include distal treatment styles of the late Master Tung and Dr. Richard Tan. Lani is a certified Reiki II practitioner. Most of her life experience and great wisdom comes from listening to her mom and raising three amazing adult children. Lani is fluent in Spanish, enjoys family time, cooking, travel, live music, and pets.